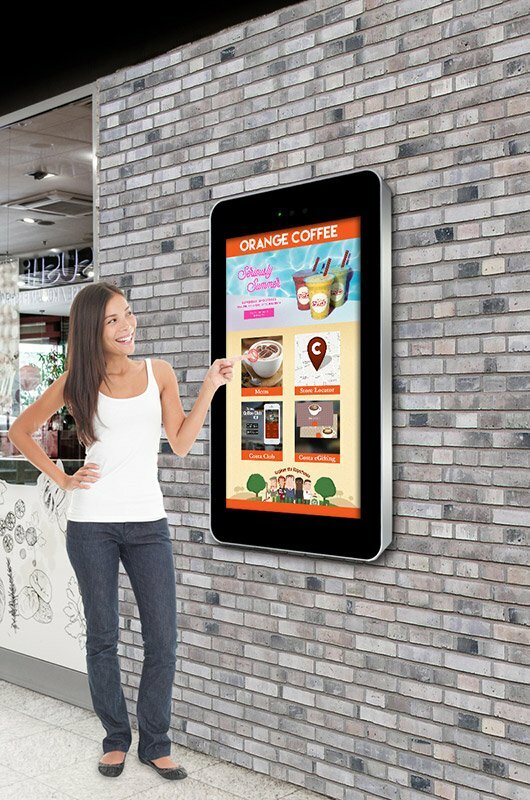 Interactive display technologies are now a part of our everyday lives and modern touchscreen mobile devices and tablets have altered user experiences and our technology expectations forever. By leveraging the latest developments in interactive touchscreen technologies we can create intuitive user experiences that will allow your customers to naturally interact and learn more about your products and services, or for your staff to brainstorm intuitively and share ideas more efficiently in your work place. 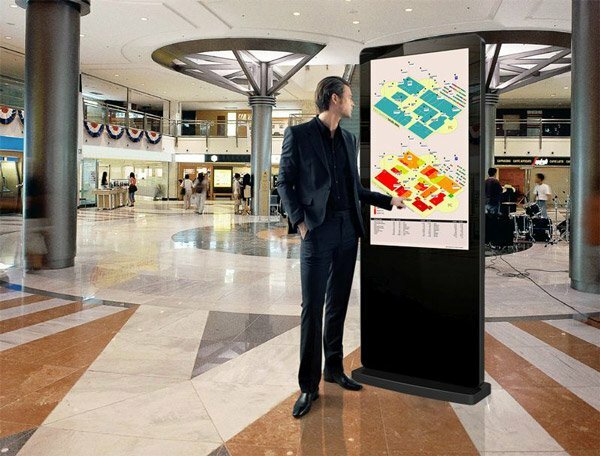 We partner directly with the leading manufacturers in our industry and are therefore able to offer a wide range of touchscreen products that include interactive touch tables, interactive video walls, interactive projection screens, interactive video systems, interactive large format displays and also smaller interactive screens such as tablets or digital posters for in store or Point Of Sale (POS) scenarios. 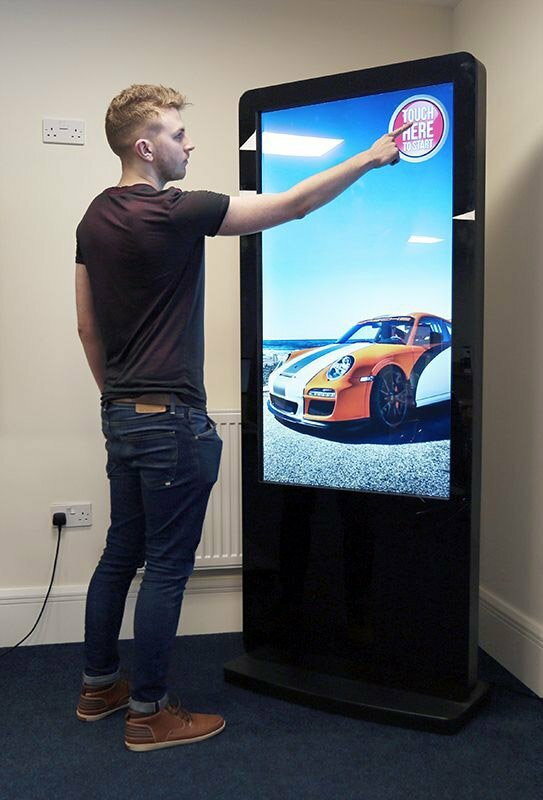 With our digital content services we can combine the latest interactive software and touchscreen hardware to supply you with a complete interactive display system that is tailored to your business and operating environment that can satisfy the demands of your customers and key stakeholders alike. Whatever the scenario or application, we can supply an exciting and interactive touchscreen system that will allow multiple users to work together simultaneously & collaborate like never before, please contact us today to find out more. Multi-touch is a term used to refer to how many individual touch points a screen can recognise at once. A ‘single touch’ screen will allow a user to replicate basic mouse control such as click and double click, or a ‘dual touch’ screen will allow for basic gesturing controls such as ‘pinch to zoom’ & rotate etc. 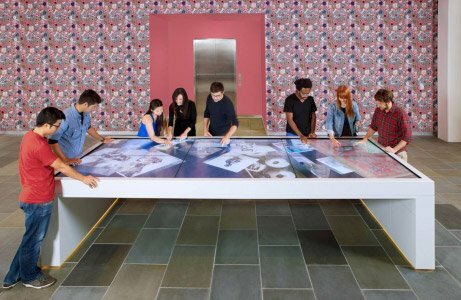 Whereas a ‘multi-touch’ system will allow anything up to 20 touches (sometimes more) and can therefore be used by multiple users simultaneously for large interactive display areas such as touchscreen video walls or touchscreen tables. 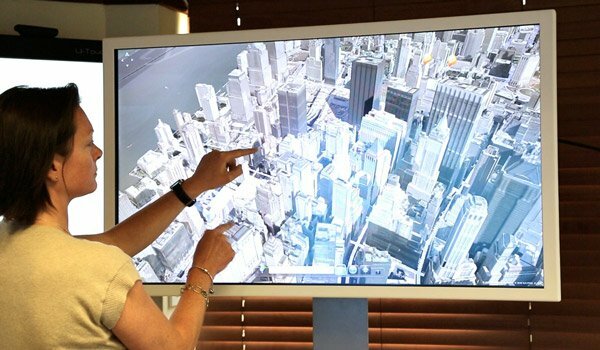 Multi-touch screen technologies are great for group collaboration and allow multiple users to touch the screen at the same time and manipulate pictures and videos using standard gesturing techniques such as pinch to zoom etc. Users can also write on the screen using their fingers or pens and then save these notes for future reference or show them to other remote people when combined with a video conferencing system. 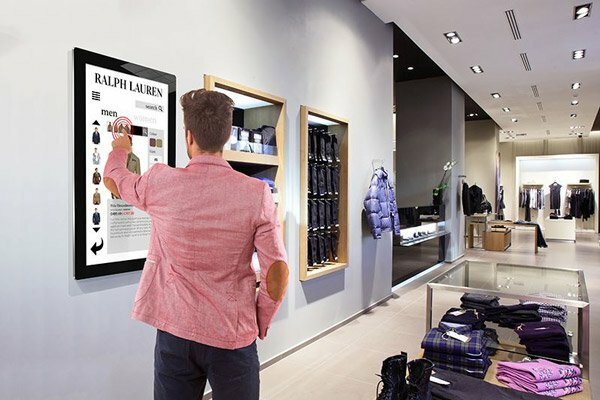 Arguably the most important part of any touchscreen system is the actual content that you show on the screen that relates to your products & services. Your content and the type of multi-touch software application that is used to allow people to interact & control your content will be the deciding factor in terms of a successful touch screen system or not. 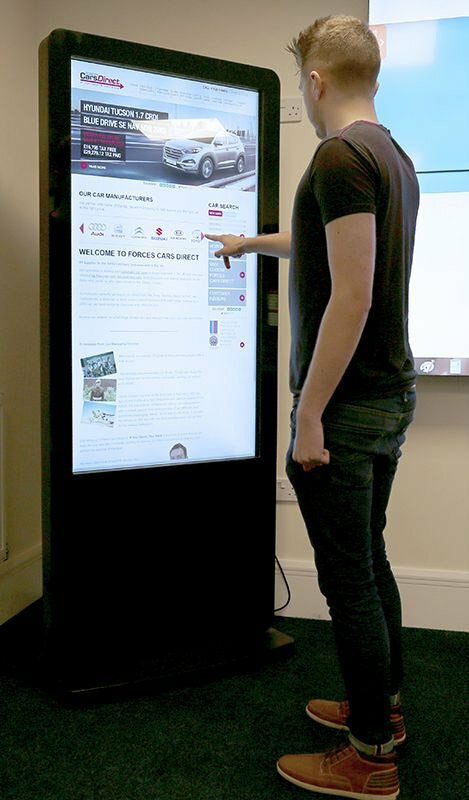 We supply & install not only interactive touchscreens but can also provide you with an entirely bespoke multi-touch software application that can be built around your products and the desired user experience that you are looking to achieve. Please call us today to discuss your touchscreen requirements in more detail. The technology behind touchscreens varies depending upon the operating environment, the desired user experience & the type of content that needs to be shown. This touchscreen technology works by using the electrical conducting properties of the human body to create a distortion in a screen’s electrostatic field which can then be interpreted as a touch point. This technology is widely used in smart phones & tablets but doesn’t work with normal gloves as they insulate against people’s fingers. Special gloves that have a conductive thread in the fingertips can now overcome this though. This is the same technology that is used in tablets and smartphones & is now the leading type of touch technology. The touchscreen is made up from a layer of conductive material which is layered on sheets of glass which creates a uniform electrostatic field. When any conductive object, such as finger, comes into contact with the screen it distorts the electrostatic field and at that position the result is registered as a touch point. 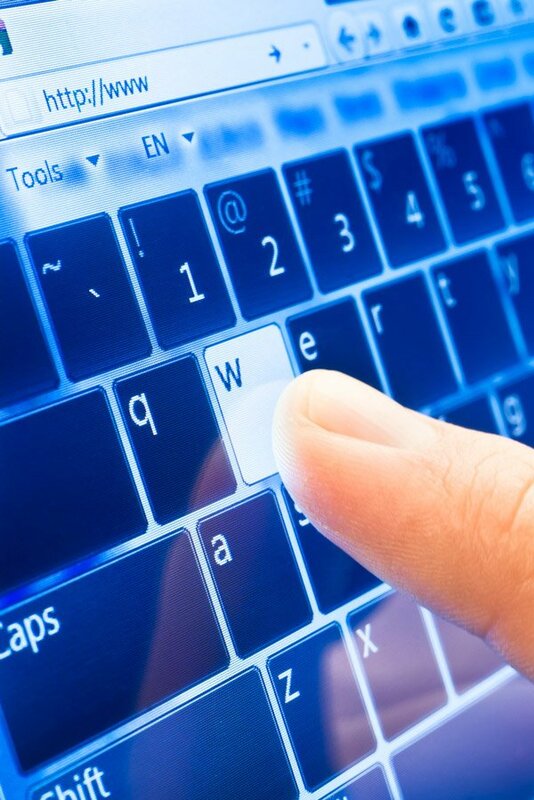 This type of touch screen technology is more robust than Resistive touchscreen technology that relies on pressure & is also more reliable than IR (Infrared) touchscreen technology that can suffer from interference from ambient light & reflections etc. PCAP technology also works with gloved hands or styluses and enables multi-touch points with smooth gesture recognition. PCAP touchscreens can be manufactured with a tempered edge-to-edge glass front which creates a better looking, more streamlined aesthetic that also makes these screens easier to clean. To ensure optimum performance with PCAP touch screens the surface of the screen should be kept clear of any moisture or high levels of dust that may cause interference. 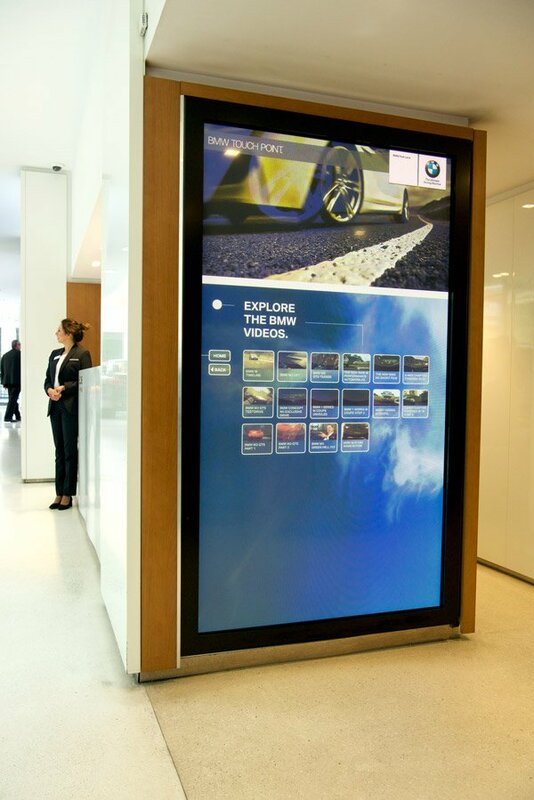 These touchscreens use an array of LED beams that cross each other horizontally and vertically. When something breaks these beams the sensor can pick up the exact location of the touch. The main advantage of this technology is that anything can be used to break the beams and create the touch point so it works with fingers, gloves & any type of stylus. The disadvantages of this technology is that when people hover their fingers over the screen it can sometimes result in false touches & the IR sensors can become dirty when used outside. IR touchscreens & IR bezels can also be adversely affected by reflections or high levels of ambient light which can also cause them to become unresponsive. 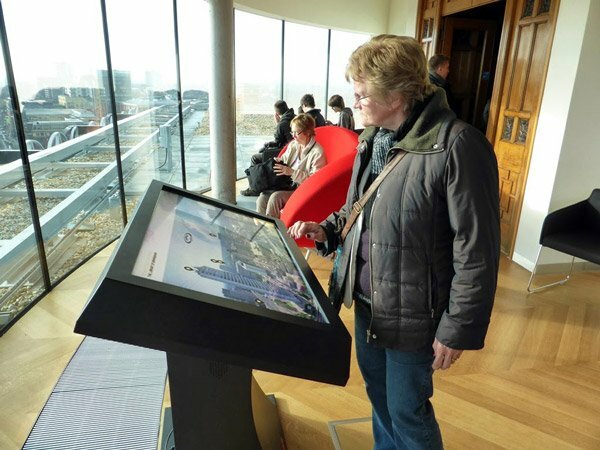 This type of touchscreen technology uses small optical sensors (cameras) that are usually positioned in the corners of a screen, which interpret people’s touch as shadows and can pin point both the position of the touch and also the size of the touch. This type of touch screen is very popular with large display screens as it can be used by people with gloves or a stylus & are not affected by reflections or brightly lit environments. 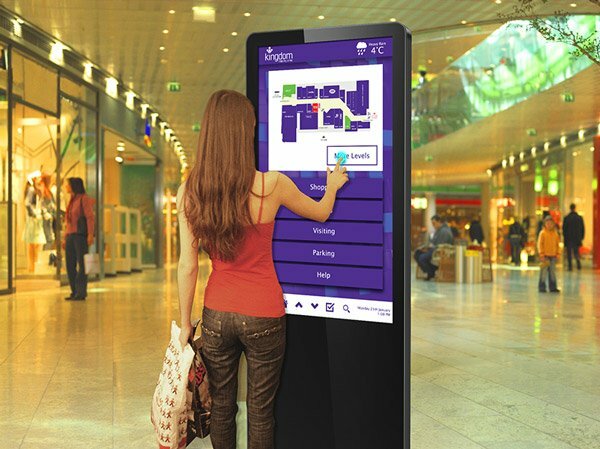 Mainly used in shop windows this type of touchscreen works by applying a clear interactive foil to the inside of the window and positioning an LCD or projection screen directly behind it. 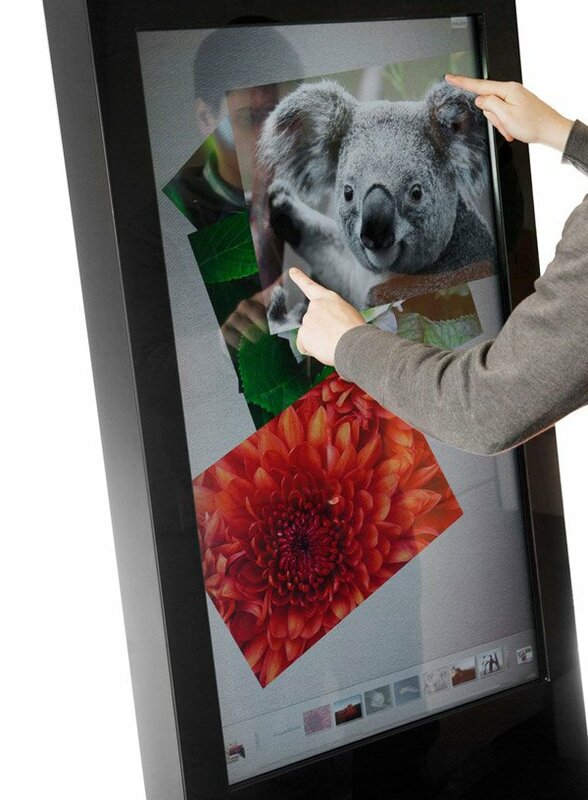 This type of touchscreen will work through glass up to 20mm thick and with gloved hands.